Red Eyes and Bloodshot Eyes: What Are the Causes? Red eyes or bloodshot eyes can be extremely worrying, especially if it comes on all of a sudden. Many health experts tell us that the whites of our eyes can often be indicators of the health issues with our livers – so it can be a scary prospect when you see redness or discolouration when you look in the mirror. But most of the time, redness in the eye is just a minor condition. Here are some of the causes of eye redness and bloodshot eyes but if the symptoms don’t improve, it’s important to book an appointment to see your GP. Redness in the eye that doesn’t hurt is usually caused by a minor disorder and isn’t something to get too concerned about. These conditions will not affect your vision and will normally clear up on their own. If however, you are concerned or would like advise, the best thing to do is to see your doctor. Conjunctivitis: Conjunctivitis happens when the thin layer of your eyeball (the conjunctiva) becomes infected. 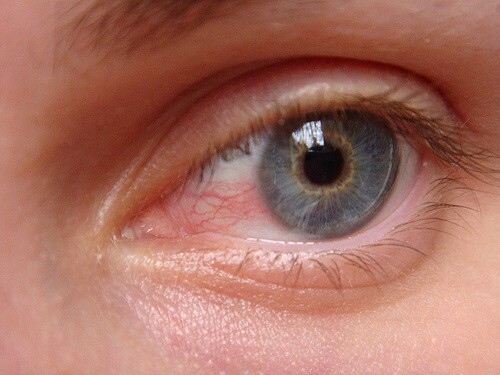 Your eye will become inflamed and you may experience swelling and irritation. The swelling of blood vessels can cause your eyes to appear red or bloodshot and you are also likely to find that there’s a sticky coating around your eyes and eyelashes. This type of infection is often caused by an allergy to things such as dust or other irritants. If you are experiencing these symptoms in one eye, it’s important not to infect the other eye so avoid using the same makeup / makeup brushes on both eyes. And because conjunctivitis can be infectious, it’s important not to share pillows with other people. Regular cleaning is important and you should wash your hands frequently to avoid it from spreading. Burst Blood Vessels: Some blood vessels looking prominent in the whites of the eye can be normal, and some people may have this more than others. But if you see a sudden burst vessel, it could be a sign that you have experienced some eye strain. If you see a large red blotch (that looks like a bleeding eye), this is called a “subconjunctival haemorrhage”. It can be brought on by straining, extreme coughing or from blood thinning medications such as warfarin or aspirin. Although the appearance of this looks alarming, it normally clears up within a few weeks. The following conditions can be painful and can also cause some changes in your vision. Although sometimes minor, these conditions can sometimes be serious. Always book an appointment to see a doctor if you experience any of the following. Anterior Uveitis: This is the inflammation of the iris and the causes are often unknown – although in some cases, it could indicate complications with your immune system. Red eye can be severe and you may also notice blurry vision, light sensitvity and headaches but this can be fixed with steroid medication prescribed by your doctor. 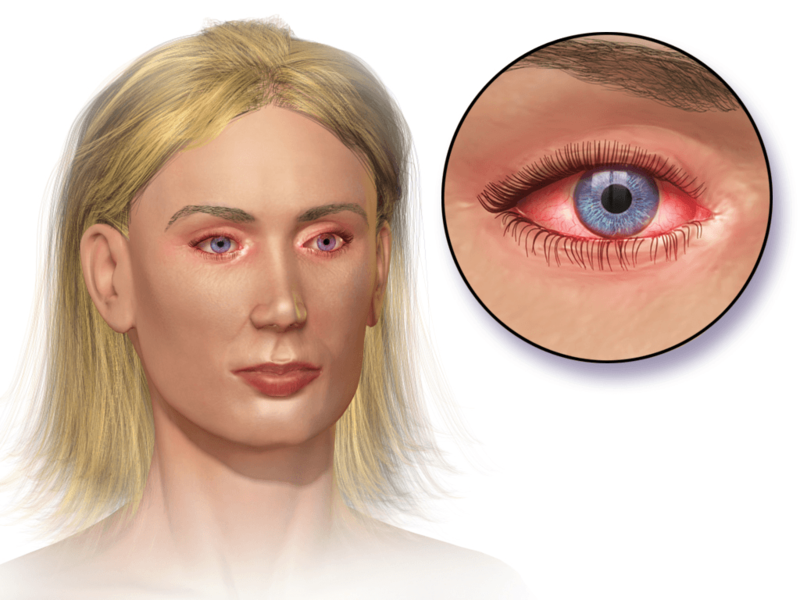 Scratched Cornea: Sometimes a red and painful eye can be something as simple as a particle stuck in your eye or causing a small scratch / cut / tear on your cornea. If you are experiencing pain and irritation or you feel like something is stuck inside your eye, it’s important to see your doctor ASAP or visit an A&E clinic. 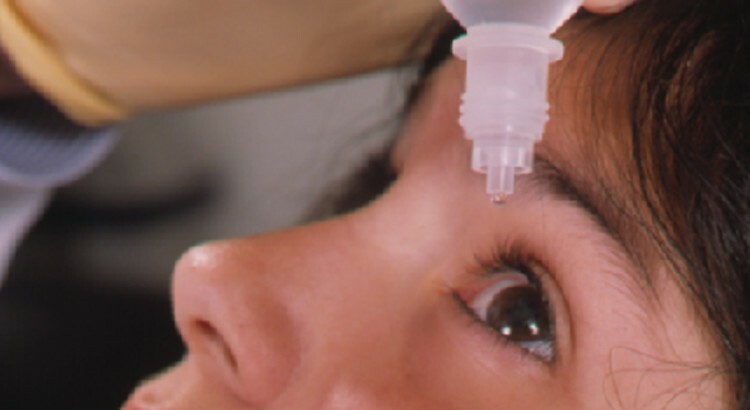 Acute Glaucoma: Acute Glaucoma is a sudden increase of pressure in the eye and it’s a serious condition that needs to be looked at straight away. Symptoms include redness in the eye, pain, feelings of sickness or seeing halos around light sources. This condition can lead to more complications with your vision so it’s important to get this checked out as soon as possible with your GP or ophthalmologist. Could Night Shift Boost the Eye Health of iPhone Users?